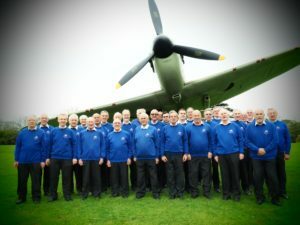 We will be performing a short concert in the ballroom at 3.45pm after the BBMF Lancaster flypast (conditions permitting) and the drawing of the raffle. Our programme will include some period songs from the 1940s. The museum will be open from 10 am – 5 pm, with latest admittance at 4 pm. There will be a range of 1940s themed activities throughout the day. All this for the amazing special price of £5 / £4 with some categories entitled to free entry with a pre-booked ticket. N.B all tickets must be booked in advance. Tickets for this go on sale from 23 July either through the Museum Website or by phone.